Hello everyone, today I present a model of my creation: Improving Minecraft. Its goal is to improve Minecraft by adding small things and correcting inconsistencies in the game. There are a lot of features, categorized. You can enable or disable each feature in the config file of the mod, located in .minecraft / config. 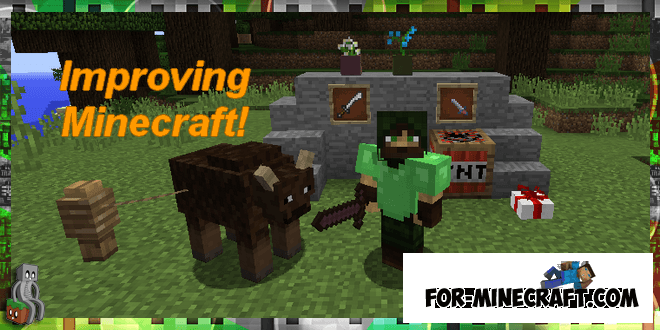 Without further ado, on to the presentation of what is offered Improving Minecraft.